We hear the term “impulsion” in the horse world a lot, but what does it ACTUALLY mean? The USDF rule book defines it as “…Thrust. Releasing of the energy stored by engagement. The energy is transmitted through a back that is free from negative tension and is manifested in the horse’s elastic, whole-body movement. 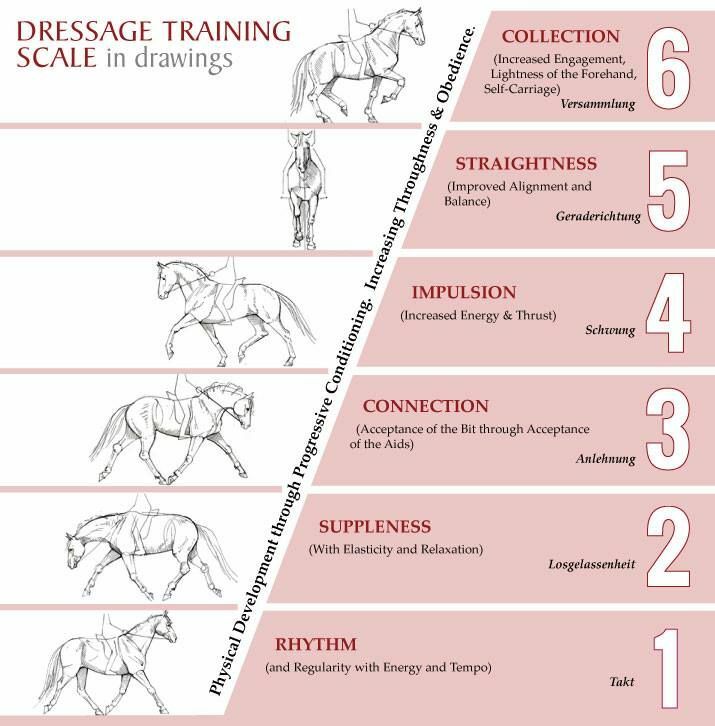 In competitive dressage circles, impulsion is defined by the German Training Scale, which states that impulsion is only possible in gaits having a moment of suspension, such as the trot and canter, but not the walk. This is the current position of the USDF. Others differ, however. Oliveira described impulsion as necessary at all paces: “If your horse goes from walk to trot without changing the head and neck position, the walk had good impulsion.” Outside the world of competitive dressage, impulsion is considered necessary at all gaits, encouraged in gaited horses, and in horses used for western riding. Impulsion at the walk is encouraged and judged in many lower level dressage and combined driving competitions that do not necessarily follow the current trends in international judging. ← What is Western Dressage?